Introducing the foundation you want to know in order to enjoy mini 4WD setting! 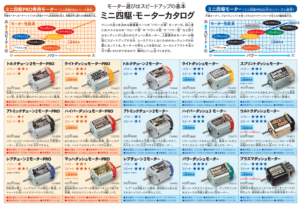 Even though it says “to make Mini 4WD faster”, machine seasoning depends on the course, depending on the strategy, such as fast machine and fast machine in the corner. On this page, we introduce the basic knowledge useful for machine setting and custom for those who are planning to challenge mini 4WD! The speed of the machine is controlled by exchanging the motor! There are various types of motors such as those focusing on acceleration, those with emphasis on maximum speed, and average type, and when you replace, the characteristics of the machine will change drastically. For a course with many uphill slopes and corners, it is important to accelerate, and for a course with many straight lines, the highest speed emphasis is a standard, but which motor is the best is “course-dependent.” Regardless of which type you choose, if you replace the motor from a normal motor, the machine will be faster, but the speed of cornering will also increase, so the probability of course out when the parts other than the motor is the kit standard is greatly improved. When changing the motor, it is indispensable to upgrade the performance of the whole machine according to it. ■ Further fine tuning with gear exchange! A gear set for setting is useful for finer tuning . It is possible to enjoy delicate tuning according to the course by combining with the motor, such as adjusting the acceleration-oriented motor slightly to emphasize the highest speed, putting importance on the motor with the highest speed priority for a bit, and acceleration power … and so on . ■ Tire & Wheel “Size” more finely! Even with the same motor & gear setting you can adjust to “Focus on Acceleration” if you decrease the “Diameter of Wheel”, you can adjust to Maximum Speed ​​if you enlarge. Furthermore, when attaching the tire thin, emphasis on acceleration, focusing on the highest speed if thicker. Motor type + Gear + Wheel diameter + Tire diameter. Let’s explore the best setting for the course by combining it well! Check the mini 4WD motor! The axis of the rotating part is smooth! By maintaining the rotating parts such as bearings and gears of rollers and shafts to move smoothly (with less frictional resistance), it improves to maximum speed, acceleration, cornering speed, and even running time. The basis for reducing frictional resistance is careful grease-up as per the explanatory diagram. Also, as garbage adheres during traveling, it is also important to periodically clean and grease up again. However, too much grease will itself become resistance, so be careful with overexposure. 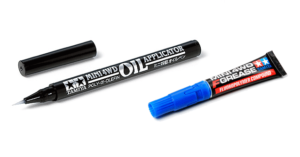 In addition, it is more effective to use high-performance grease such as “Mini 4WD F Grease (Fluororesin formulation)” or oil pen etc. which is smoother than Grease attached to the kit! ■ More smoothly with the introduction of a bearing! If you aim for a smoother machine, where you want to think about bearing bearings where large friction occurs. Bearings that can be used for each part, such as gears, bearings, bearing loaded rollers, etc. are prepared, and by replacing these parts, frictional resistance can be greatly reduced. Is not necessarily a fast grip tire fast? In the actual race, the grip performance of the tire is emphasized, but soft tires to be gripped are tires with large frictional resistance when changing the point of view. With mini 4WD, the cornering speed will be reduced because the friction with the road surface at cornering increases with soft tires. But it is also true that cornering will stabilize as speed decreases. Do you run through as if you slide through the corners with a hard tire, or do you place emphasis on stability with soft tires? Would you also change the alignment of the front and rear left and right tires? . . The best setting will change depending on the course! ■ Grip changes even with tire width! Width is important as well as softness. Even with the same tire, if the width of the tire (the part in contact with the road surface) becomes thinner, the frictional resistance will become smaller. A tire with a rounded ground surface like a barrel tire, although it looks wide, is only slightly in contact with the road surface. Therefore, the speed down in the corner is very small. the distance between the left and right tires (tread) becomes wider, the frictional resistance at cornering increases due to the influence of the inner ring, more stable orientation (speed reduction at cornering) It becomes the setting of. Offset tread tire is a unique tire that can adjust the tread width according to the direction of installation. When used in combination with a barrel tire, it is possible to set three types of tread width, inside, middle (barrel tire), and outside. 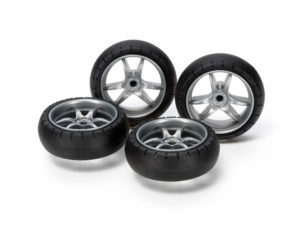 Check tires & wheels for Mini 4WD! Jump is controlled with brake & mass damper! If the machine gets faster, you can also go out of the distance as the flight distance goes beyond the jump section. “Brake unit” and “mass damper” are helpful to prevent it. In the case of a brake unit, you can control the flight distance and flying attitude by controlling the speed before jumping, by adjusting the sliding condition of the sponge in contact with the road surface, the number (area) to be installed, height, and so on. And the impact of landing after jumping is controlled by the mounting position and weight (number of installed) of “mass damper”. Whether it is a weak brake & lightweight damper that can clearly clear the course, or is to be the first safety heavy brake & weight damper of safety. Even if you can clear the course safely, if you set the speed-oriented setting where rivals have taken risks … setting according to course and rival is important! ■ The best landing form depends on the course and the machine! The basic condition of the landing is to landing on “a condition that can be accelerated quickly”. If the machine bounces after landing, it will be late to accelerate by itself, leading to time lost. Front soaking landing to the uphill slope and falling down to the descending slope are not easy to absorb the shock even with the mass damper, so be aware that the machine tends to bounce. have more than one section jumping on the course and the landing point is flat, climbing uphill or downhill, finishing in a setting that determines the ideal landing in every section is very It Is difficult. In these cases, it is likely that the landing at which section is likely to affect the most time (eg, the straight after landing is long) or which section is the most dangerous (eg, there is a section that becomes unstable after landing) It is fundamental to judge and set the corresponding setting accordingly. What is important in the world of racing is weight reduction of the machine. As the machine gets lighter, the burden on the motor will be lighter, so even with 1 gram of the same motor machine it is advantageous for lighter machines with either accelerating power or fastest elongation. Also, when weighing is done, it can not be missed that the position of the center of gravity changes. In general, the center of gravity is lower, more stable in the center is possible. For example, in a case where only the chassis is made lighter in weight and only the body has been reduced in weight, the center of gravity is lowered and the body is stabilized by lightening the body. Let’s remember that “To lighten things above” is the basis for weight reduction! weight of the machine is reduced, the position of the center of gravity will change, but if we reduce weight of only the bonnet of the body, for example, we will change the flight attitude during the jump . If you prepare several bodies with different weights and centroid positions, not only the look but also the range of the settings will expand. Roller position and machine width are key! Roller is indispensable to get through the corner smoothly with Mini 4WD. In the official competition, the number of rollers that can be installed is decided to be six pieces, and the running of the machine will change depending on the way of choosing these six rollers, the position to install (As of February 2018, the number of rollers is unlimited as a special rule It is becoming. One criterion is whether you can stand upright alone with a roller when you stand the machine sideways. There are many kinds of rollers with many types, and diameters, thickness, weight, biting to the wall (friction resistance) etc. are different, so let’s choose according to the course and machine. official recognition competition, the full width of the machine is determined to be 105 mm including the roller. If you use a large diameter roller or combine FRP plates etc. to expand the full width of the machine, the machine will run inside the course rather than in normal condition and you can goal with a shorter mileage It is advantageous to broaden the whole width). However, since corners running inward become more tight, do not forget to set up accordingly! Check it for the corner! Stay & roller! It is also recommended to start with a set for beginners! As introduced so far, it is the charm of the mini 4WD that you can enjoy various settings, but do not know where to put your hands … so do not worry. 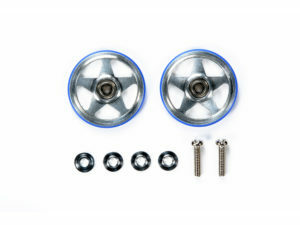 There is also an item called “Starter Pack” which is a set of high-performance motors, rollers, stays, mass dampers, brake units and basic upgrade parts and mini 4WD. There is also a “Fast Trial Parts Set” where basic upgrade parts such as rollers and mass dampers are prepared, and if you purchase it along with your favorite machine, you are ready to challenge for circuit running at once. It is also recommended to debut using these set items! This entry was posted in Customized Builds, Media on February 28, 2018 by admin. This entry was posted in Future Releases, Media on February 26, 2018 by admin. 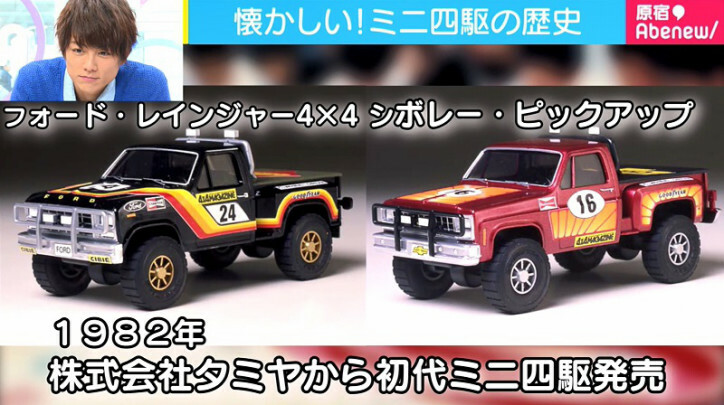 This entry was posted in Media, Tamiya Company, Vintage on February 26, 2018 by admin. RC magazine has been renewed considerably as a commemoration issue of the 40th anniversary of the April issue! In big places I returned the name of the magazine to the original radio control magazine. And this memorial issue is double appendix. A special DVD with plenty of volume has been recorded for 2 hours, and there is plenty to see from the old RC scene to the latest information. And a special RC sticker of a major RC maker is also attached to the special decal! Of course I lost the appendix and it was substantial enrichment. The newest best-billed feature and new series that will become useful are pushing down. Bookstore release on March 2, the cover of Black Porsche of Sahara Teruo’s painting is a landmark! This entry was posted in Media, Vintage on February 26, 2018 by admin. This entry was posted in Future Releases on February 23, 2018 by admin. 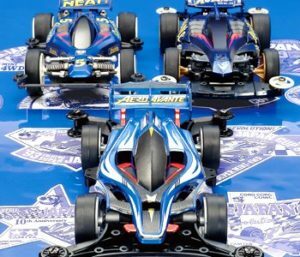 The “third boom” of the Tamiya Mini 4WD, what is the reason why the girls are addicted? 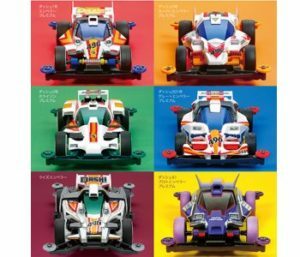 “Mini 4WD” which was once played by a boy has become a thing that can be enjoyed by youngsters and youngsters over time. 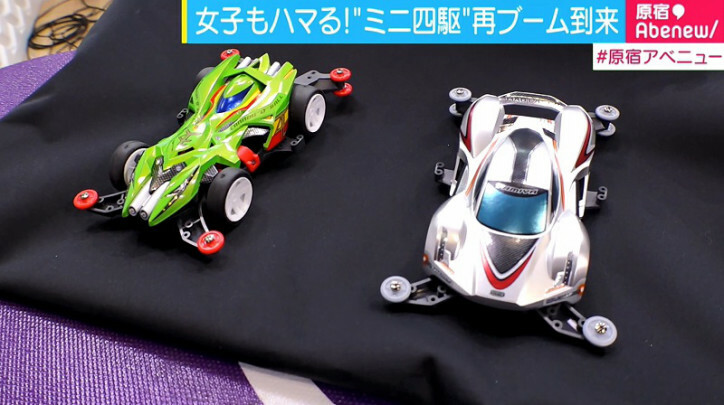 In the “Mini 4WD Grand Prix 2018 New Year Tokyo Convention” which was held on Shinagawa on 28th last month, various people such as parents, parents and children and three generations gathered as well as men and women gathered and mobilized about 2,600 people. 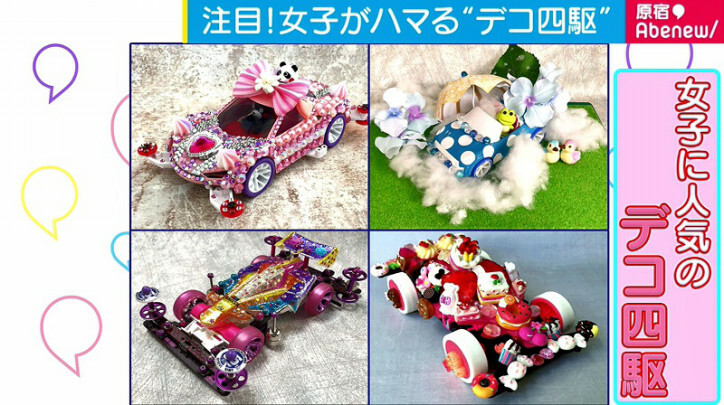 Now the Mini 4WD has not only race but also “decorating” new way of enjoying freely. 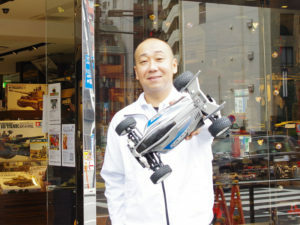 Regarding the charm of such a mini 4WD, “Harajuku Avenue” (AbemaTV) asked Mr. Akiko Seguchi of Tamiya public relations. 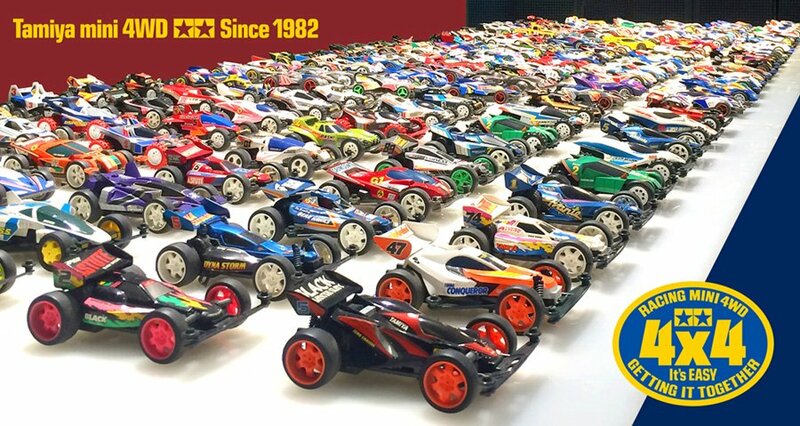 According to Mr. Seguchi, Tamiya’s total mini 4WD sales have reached 180 million units in total. 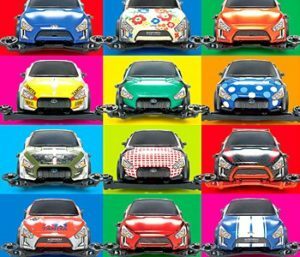 It is said to be popular abroad, mainly in Asia, as the world’s smallest motor sports. 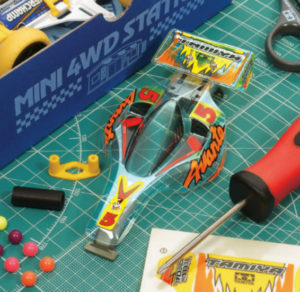 The birth of mini 4WD that runs with two AA batteries and a motor dates back 36 years ago. 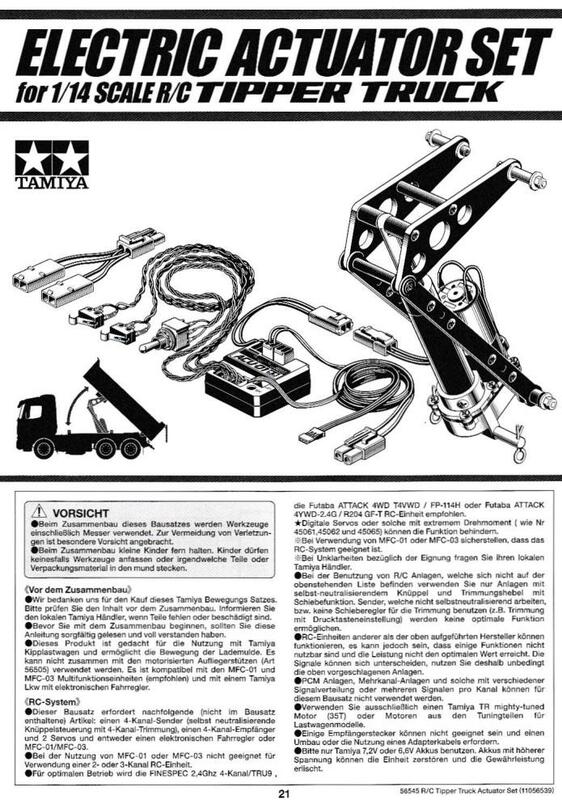 In 1982 Tamiya released the first Mini 4WD. 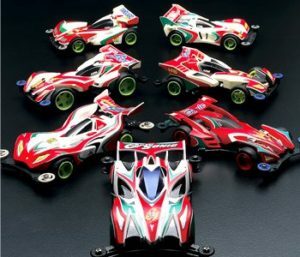 After that, when the Racer Mini 4WD series was released around 600 yen, the boom gave a light because it can buy even pocket money for primary school students. 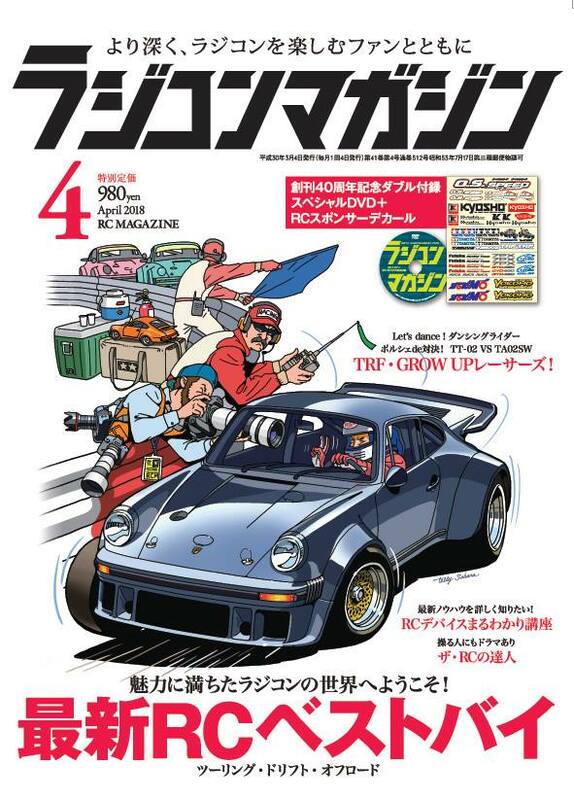 In 1987, the cartoon “Monthly CoroColoric Comic” “Dash! 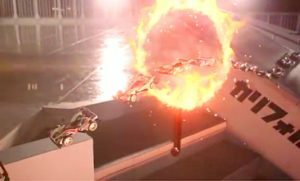 “Shijimiro” (Tokuda Zaurus) started the series, “First Mini 4WD boom” occurs. Furthermore, in 1994, manga “Broke Brothers Let’s & Go! ! “(Toshihi Koshita) started serializing” Second Mini 4WD Boom “arrived. In 1996, the “Japan Cup Tournament” was held at 14 venues nationwide, and it became a social phenomenon such as mobilizing a total of 344,000 people. And now the “third mini 4WD boom” has arrived, adults and children are addicted to it. In 2017, a junior champion girl in elementary school fifth grader, the reason why he started mini 4WD is that he was invited by his father. 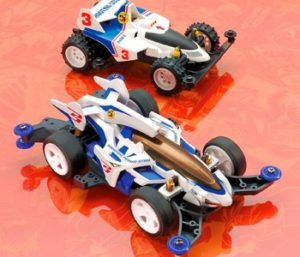 The current mini 4WD is easier to remodel and comes out more speed, and the remodeling parts have become five times more than the 1980s to be able to produce originality. 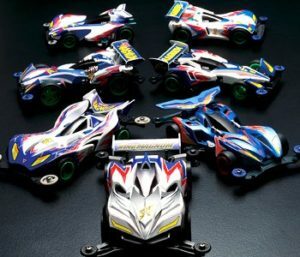 “Compared with the past, the current mini 4WD is specification for racing.The car height is low, we arrange the heavy parts such as motor etc on the lower side so that the center of gravity goes down. By doing this, stability in the corner will be enhanced.In addition, there are so many places to install the parts compared with the past, “says Mr. Seguchi. It is said that there are more than 200 types of parts currently on sale and more than 100 million combinations are available, and the depth of setting is attractive. Besides racing, female popularity is “deco 4th generation”. 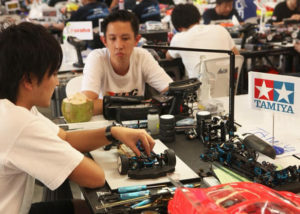 At the official tournament in Tamiya, there are departments that compete for appearance in addition to the section competing for speed. 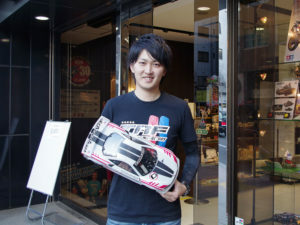 Three years ago we launched a mini 4WD team, and we interviewed Mr. Junichi Saga, who is a leader there. At home there is a full-fledged mini 4WD course, “I’m too addicted to mini 4WD and I moved to where I can do this”. Mr. Saga’s team’s deco four-wheel girls and Megu-chan and Mr. Ocha-chan say the deco 4th generation for the first time in 2 years, but the quality looks high. Megucho says, “I am making it using parts I no longer want to run, and I reuse what I do not use because I can do it freely.” It seems that parts are mainly purchased at 100 yen shop. 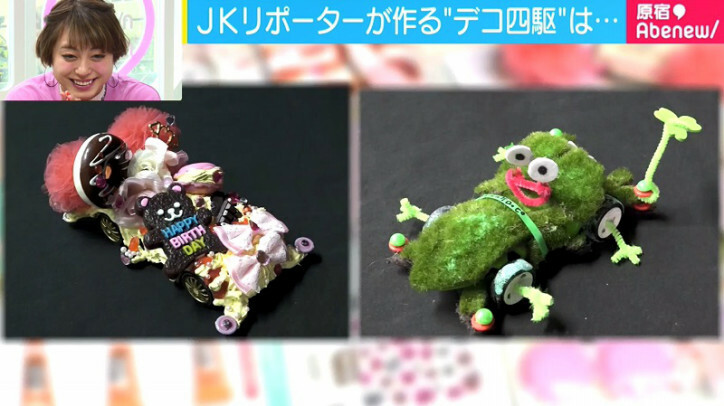 So at “Harajuku Avenue”, two people of Avenue JK reporter challenged the deco 4th generation. I entered “Competition Deregans” of “Mini 4WD Grand Prix 2018 New Year Tokyo Convention” which was held last month. Competition Deregans is an exquisite deco 4th contest contest. If you pass entry sheet and car, you can participate for free, and the entered deco 4th generation will be open to the public. There are 129 deco 4th generation entries in the competition Deregans at this competition. The results are announced at last. Of the seven awards, they were two who were aiming for “Cute Award” and “Idea Prize”, but the result was a losing battle. 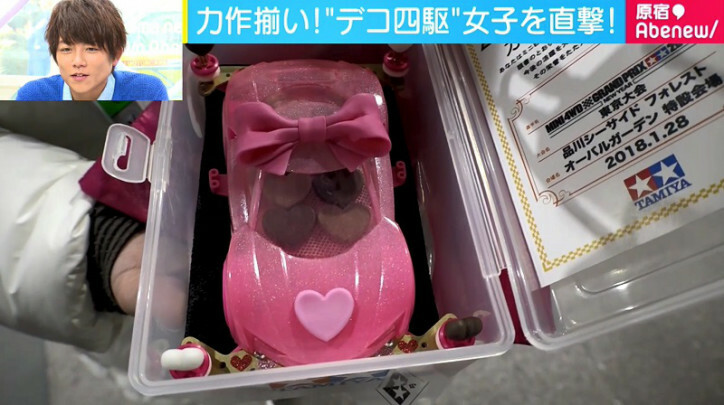 When I listen to a cute and award-winning woman, “I made it by anticipating the Valentine’s Day, and when making it I make as much as possible using the original mini 4-wheel drive, making it cute and cool and stylish Because things can be made, it is fun to bring out “and taught me the attention and attention. 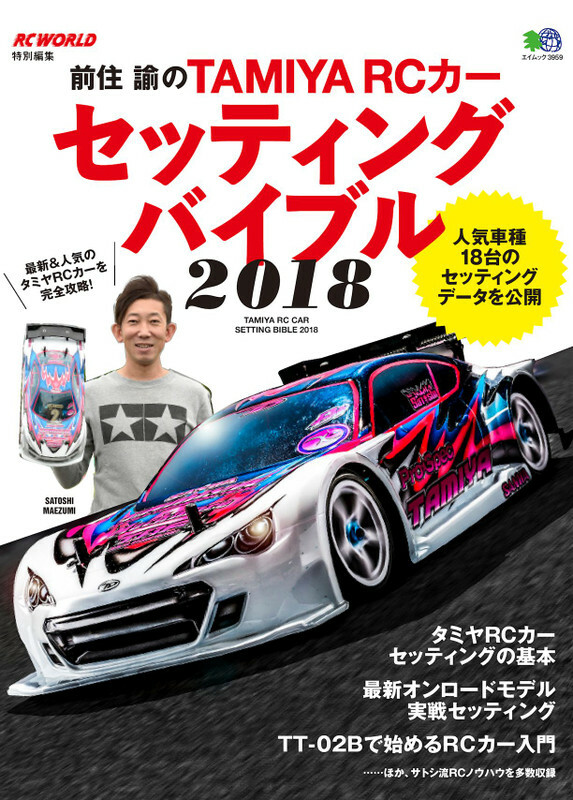 This entry was posted in Media, Tamiya Company on February 20, 2018 by admin. This book picks up the latest model from the “Satoshi with TRF setting advice” which continued serial series for 19 years in the RC car magazine “RC WORLD” (currently not on holiday), re-editing and re-editing I added a new project and compiled it into one volume. all written by Mr. Maeshara himself. Combine machines, run on the circuit, and put in the race. It is no exaggeration to say that the settings derived from real experiences are optimal solutions for Tamiya RC cars. I hope that this book will be a “bible” of many RC users. 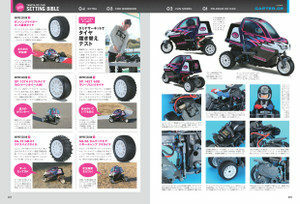 Condensing the setting know-how of the latest & standard model of Tamiya RC car into one volume! Main content picks up the latest model from the series article of popular No. 1 project “Satoshi with TRF setting advice” of RC world, reconstruction And recorded. Appeared from the popular classic models such as TA 07 PRO and M-07 CONCEPT to the fan models such as the latest F104 PRO 2, the dancing rider, and the Konghead 6 × 6, setting & setting to “run better” Tuning know-how, along with plentiful pictures, will be explained one by one clearly. 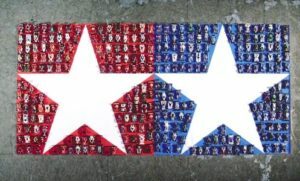 In addition, RC car introductory course for beginners, various know-how, Tamiya RC car user’s useful information is packed! The central figure of Tamiya’s Works Team TRF (Tamiya Racing Factory). one of the top drivers in Japan who always keeps stable results. Currently, we actively disseminate RC, and many others are also appearing. P112 …… PART 4 ​​Setting Advice EXTRA! Japanese source: Ei-Publishing Co Ltd. This entry was posted in Media on February 19, 2018 by admin. I focused on the gear ratio this time. We chose three gear ratios: high gear setting, low gear setting and intermediate setting between them. * 5.74: 1 (high gear) Focus on top speed (too much?) * 8.42: 1 (middle) * 11.38: 1 (low gear) Acceleration emphasis (too much!) Make extreme settings It is. It’s easy, it’s up and down and in the middle. With these three settings, the time and the maximum speed of 20 m sprint were measured and compared. The outside air temperature during measurement is about 10 ° C. Changing the gear ratio is like this! What? I think that it became the animation of the basic contents of it. It would be greatly appreciated if you could see it loose. The RC car used is TT – 02B of the same example as usual. I will write down the specifications easily. The measurement place is asphalt pavement, Sand and pebbles are also scattered. After considering these effects, I intend to compare three kinds of motors relatively, as it is. Chassis specifications (total weight, gear ratio, tire diameter, etc.) are changed for each movie. For that reason, it does not make much sense to directly compare the displayed speed and time with the comparison movies you have already made, so please understand. Although it is a scary movie, thank you. *** External link *** Ameblo CAGEMAN ch. This entry was posted in Media, Reviews on February 17, 2018 by admin. TRF will give setting advice at TITC. 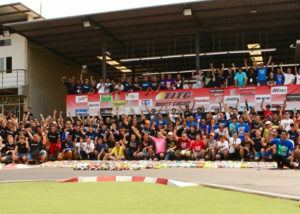 Asia’s largest RC event TITC (Thai International Touring Car Championship) will be held from 1st to 4th March at the Infinity Addict circuit in Bangkok, Thailand. 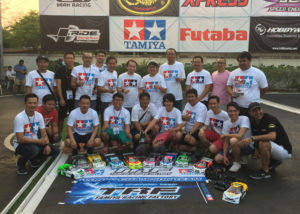 TRF staff will participate in the race, as well as support for Tamiya user vehicle advice etc. in the pit. We will answer Tamiya’s RC car setup and other various questions so feel free to consult us. TRF TO ATTEND THE 2018 TITC! Seiwa Suzuki will also participate. I will do setting advice, so please do not hesitate to ask a question. I plan to participate in F1 class and racing track class. Takayuki Kono will also participate. I will do setting advice, so please do not hesitate to ask a question. Open brushless, will participate in the racing track class. This entry was posted in Event Report on February 16, 2018 by admin.